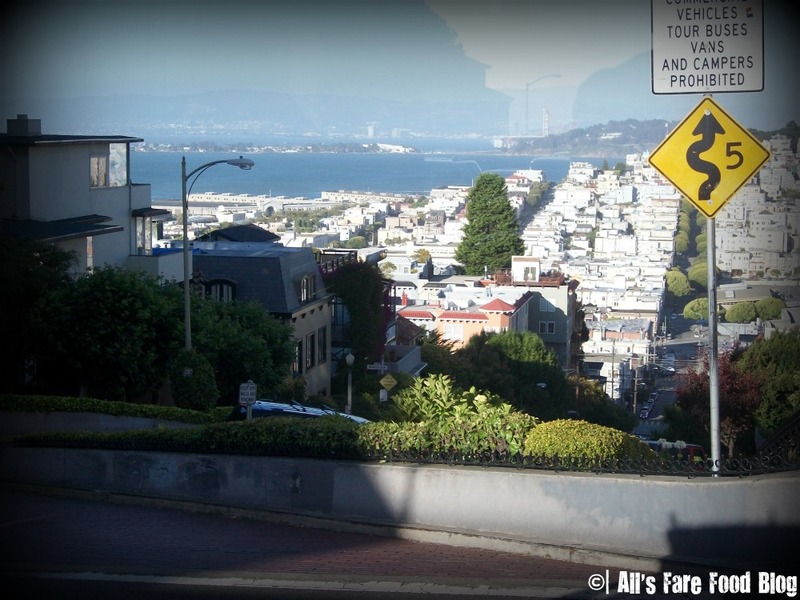 There wasn’t a cloud in the sky on the Sunday afternoon that I toured downtown San Francisco. Yet even in July, the air was brisk and, luckily, I brought a jacket with me. Still, the street entertainment and other tourists provided enough warmth and energy to keep my spirits bright. 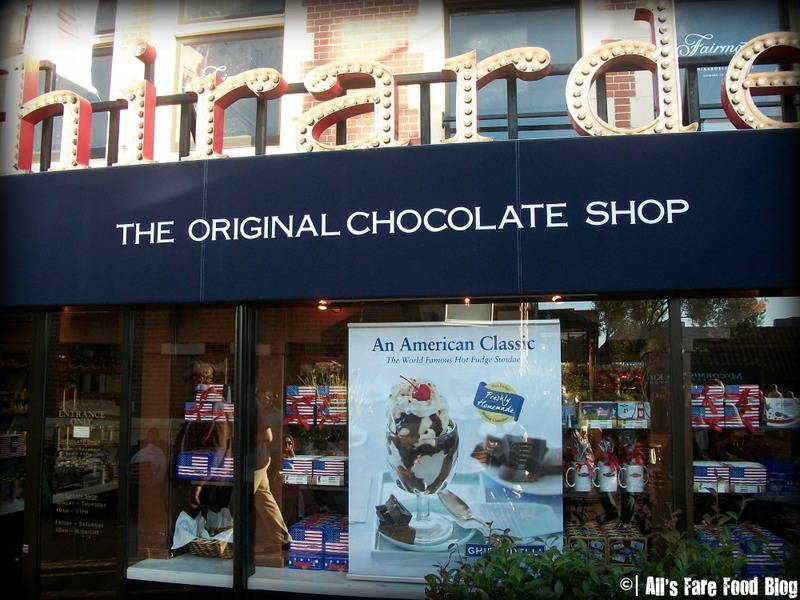 Ghirardelli Square isn’t just home to Ghirardelli. 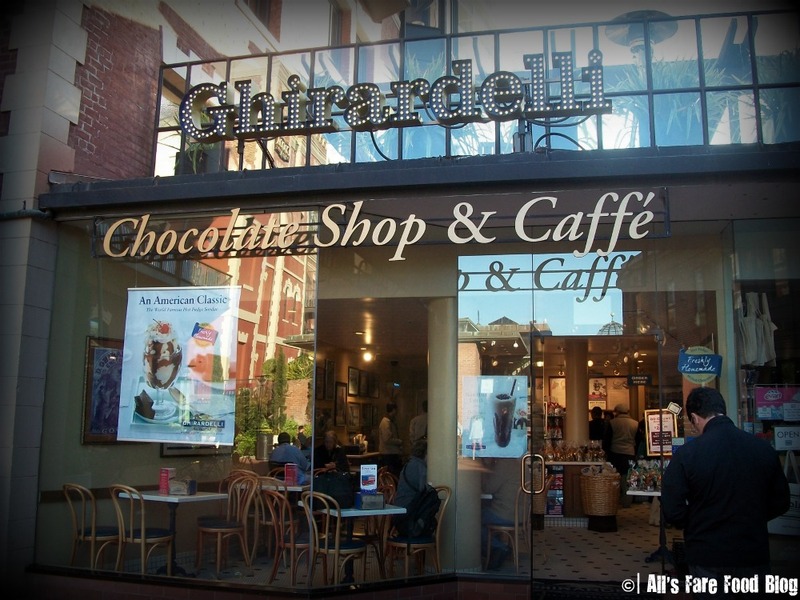 You can find other restaurants and specialty shops there like Kara’s Cupcakes, owned by Kara Lind, who has been featured on Food Network’s “Cupcake Wars.” Pictured above is “Ghirardelli To Go,” a smaller shop that serves ice cream and chocolate treats on the lower plaza. 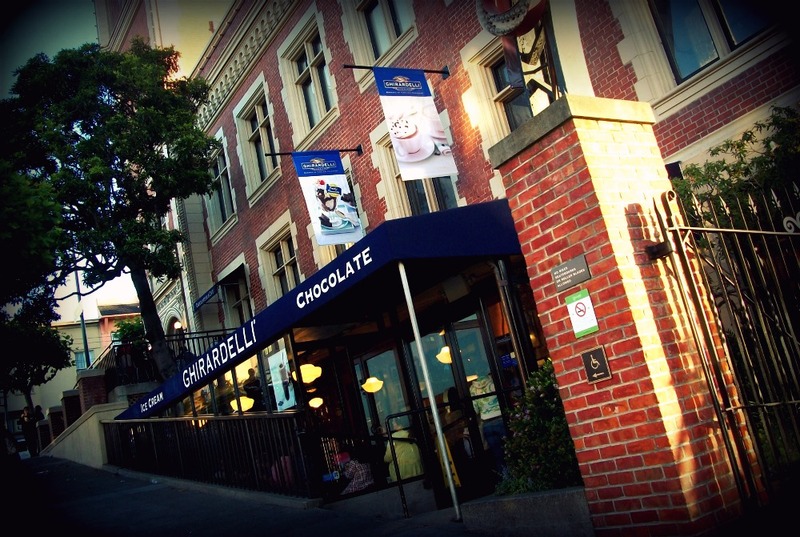 The buildings (like the Cocoa Building shown above) at Ghirardelli Square have been added to the National Registry of Historic Places. 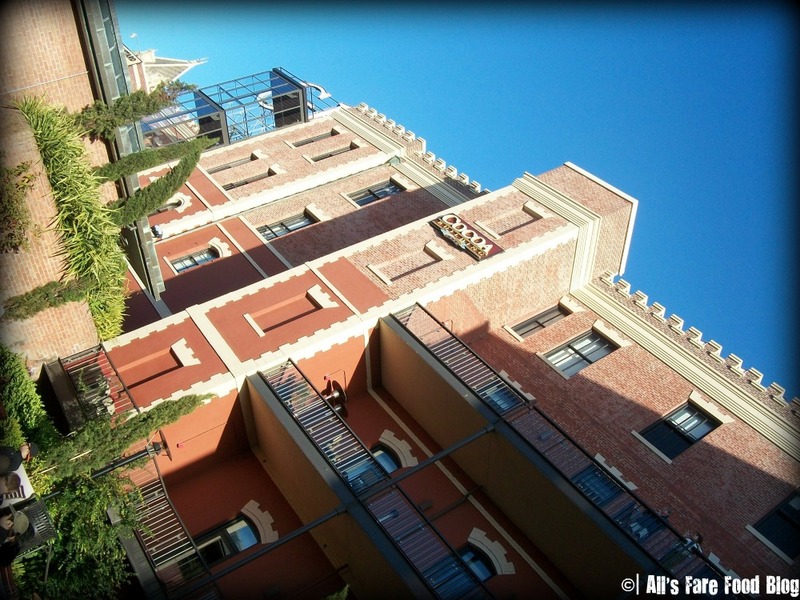 The second of the three cafe locations is in the West Plaza near Cellar 360. This one is larger than the “To-Go” locale, but it lacked the vibe of the main cafe. 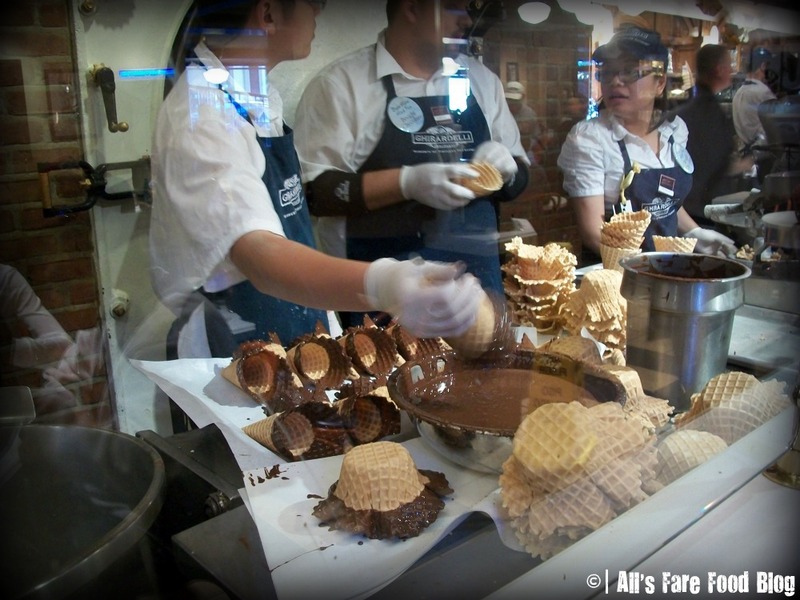 The flagship chocolate shop is smallish but the walls are covered in nearly every flavor and type of chocolate that you could imagine. 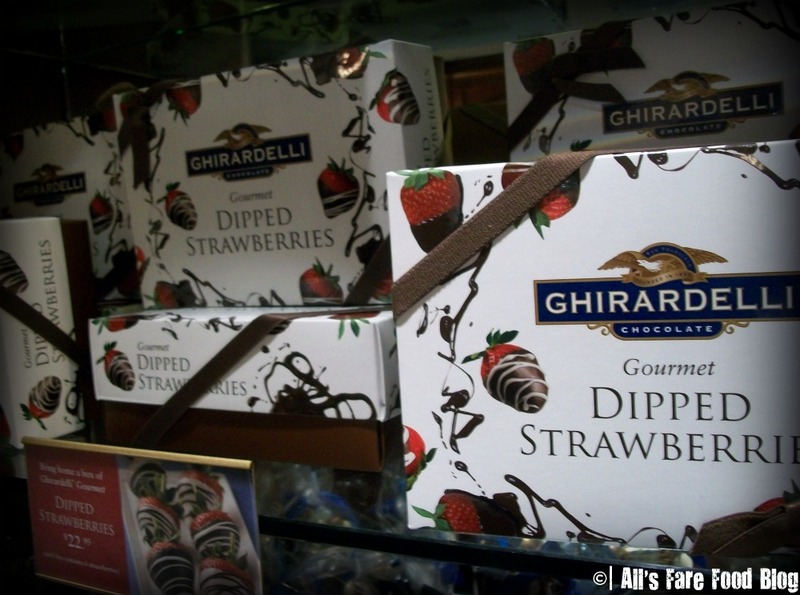 Staff hand out free samples as you walk in the door and you’re mesmerized by the fabulous, warm aroma of cocoa. 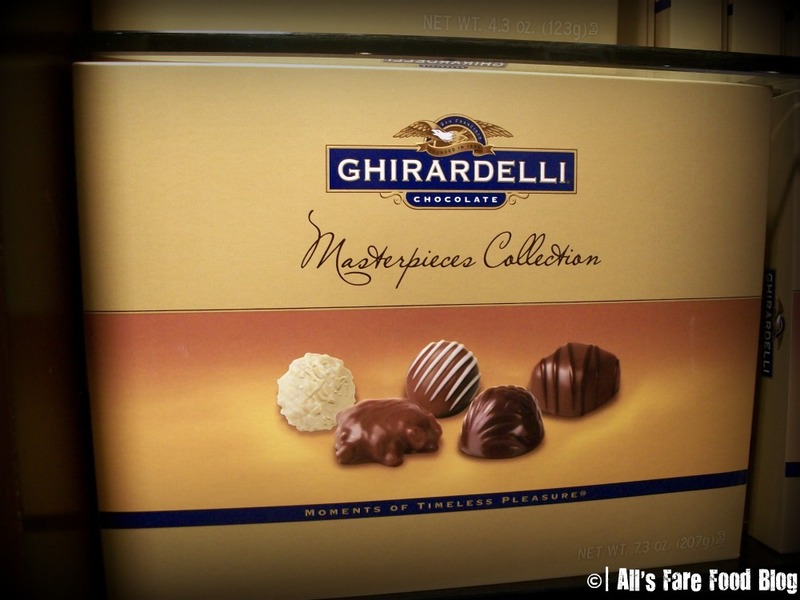 You could also indulge in the “Masterpiece Collection,” a box of truffles, turtles and other chocolate-covered delights. 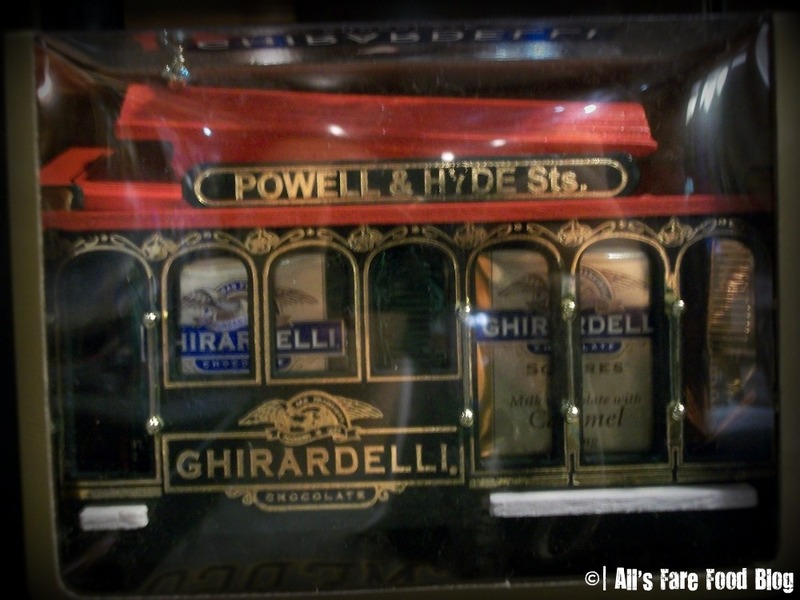 Ghirardelli takes advantage of being in San Francisco and having some iconic images to sell their wares – like these cable cars filled with chocolate squares. This contraption shown above is called a melanger. 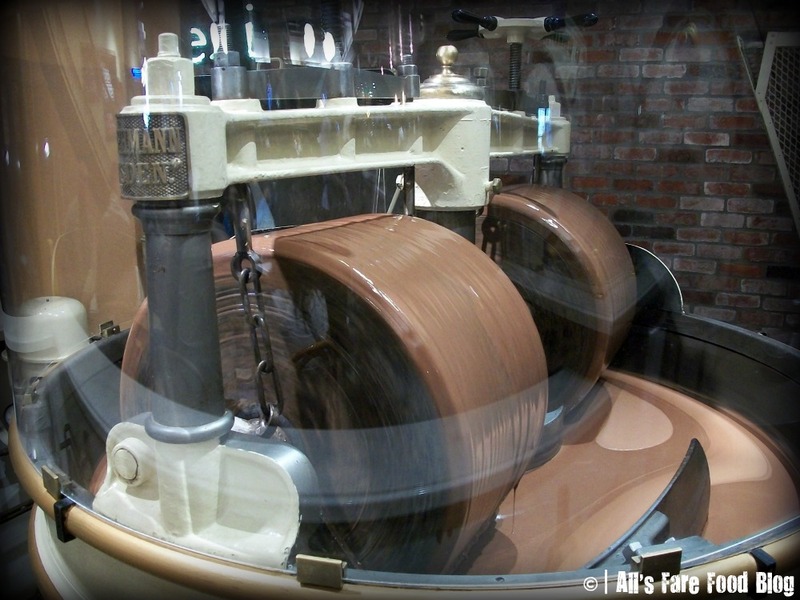 The large granite rollers are used to mix chocolate liquor with cocoa, sugar, butter and vanilla. 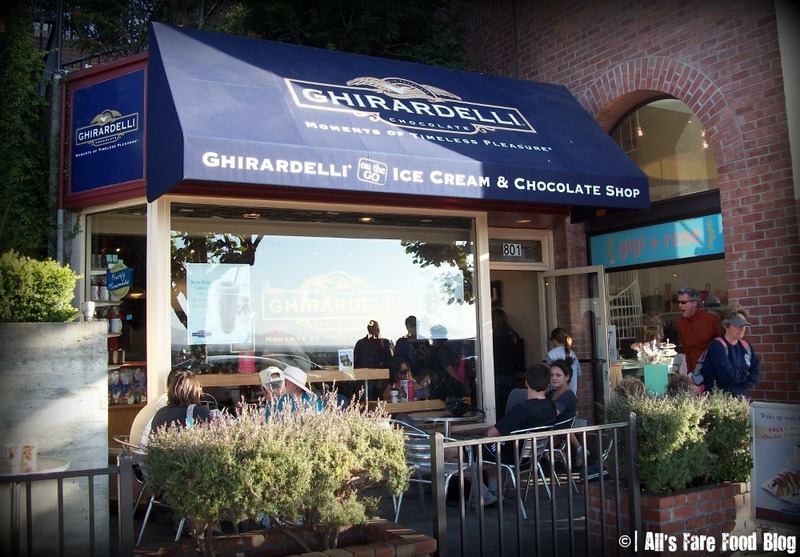 Hot fudge sundae at Ghirardelli, check. 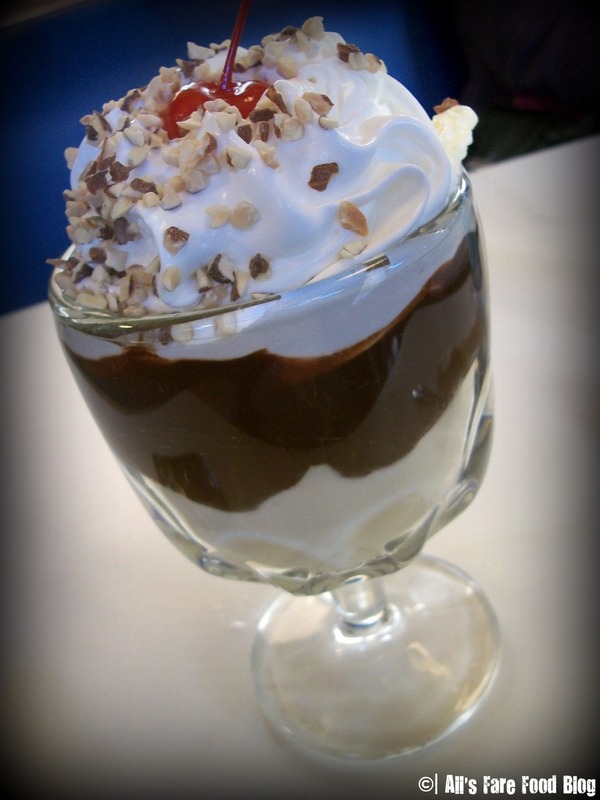 Two scoops of vanilla ice cream topped with dark chocolate hot fudge, whipped cream, cherry and nuts. It was way too much to eat for one person alone but I took one for the team. 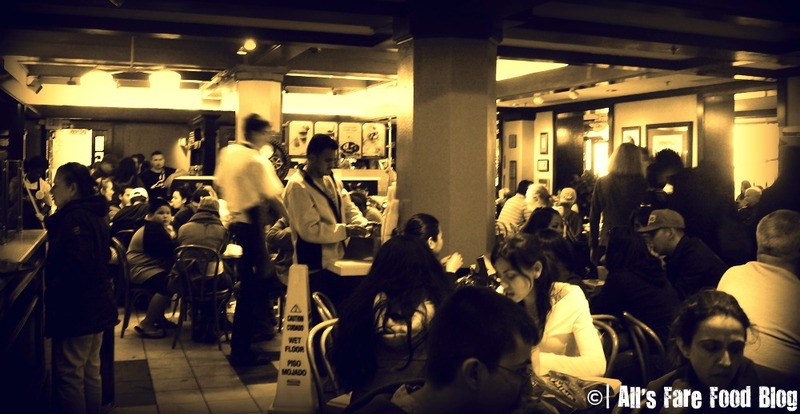 A few people braved the outdoor seating on the chilly evening. 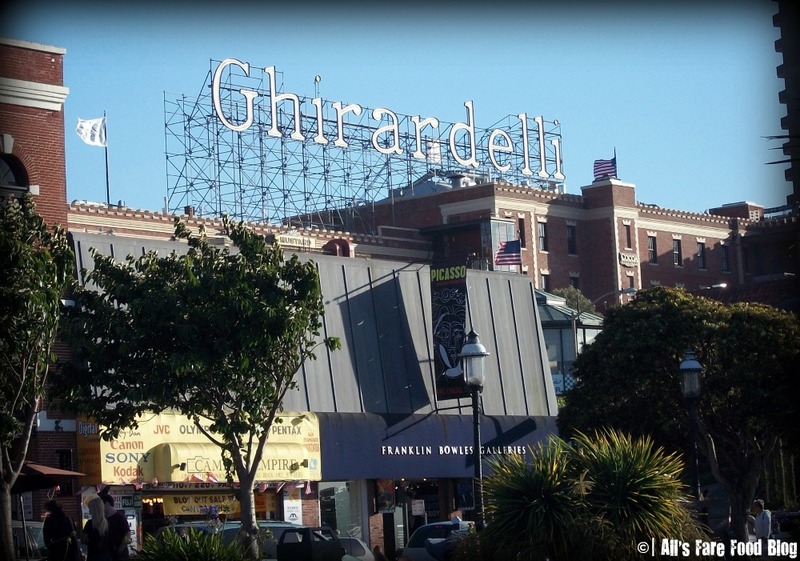 I wish I could’ve seen what Ghirardelli Square looks like at night. The white lights on all of the signage reminds me of what I imagine the Chicago World’s Fair looked like in the late 1800s. 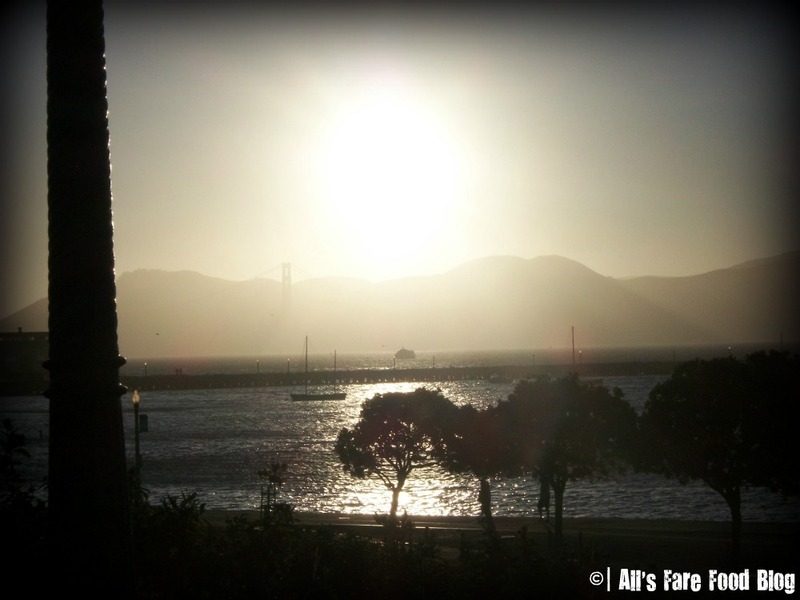 Good night, San Francisco. 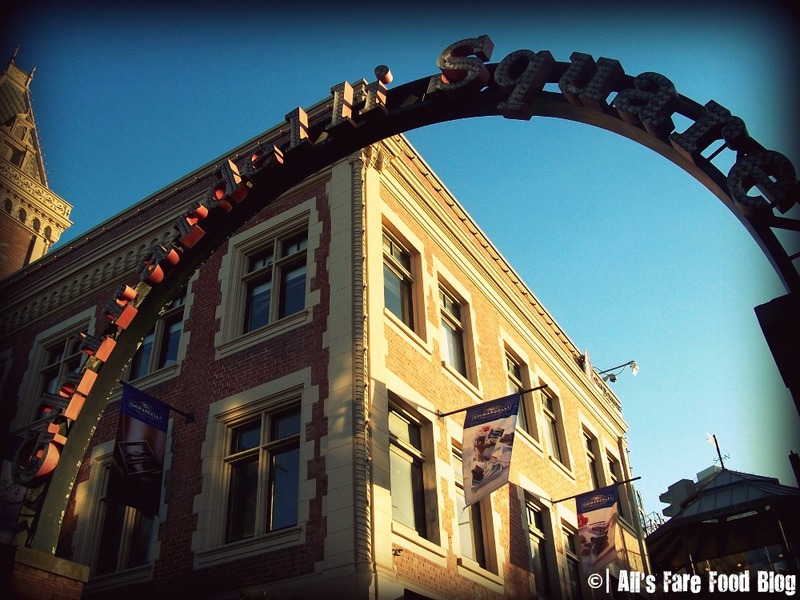 I hope to be back to see you soon! 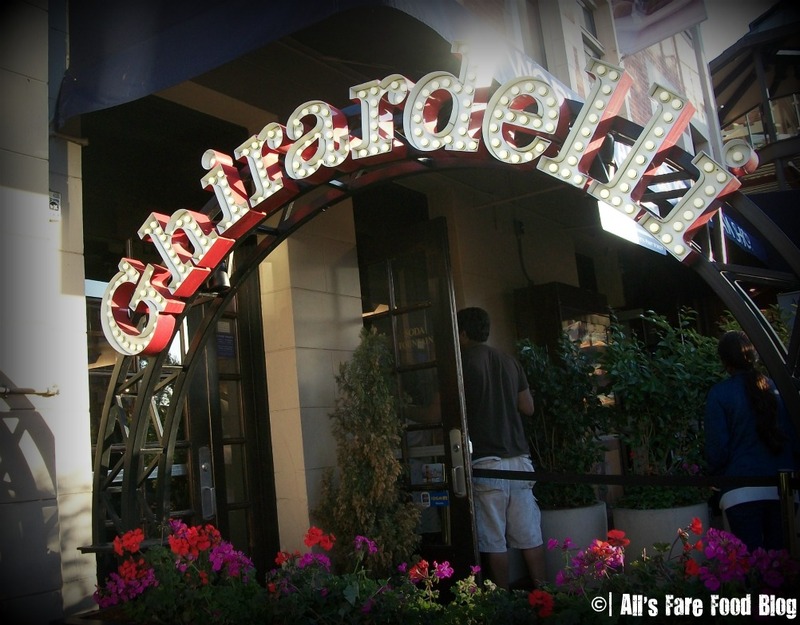 This entry was posted in Cuisine - Desserts, Foodie Destination, Shopping and tagged candy, chocolate, desserts, Ghirardelli, ice cream, Lombard Street, photos, San Francisco by Christina. Bookmark the permalink.